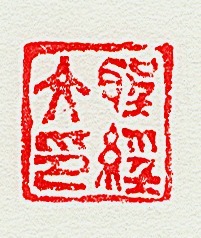 Traditional Asian seals, or chops, are integral to Bibel's calligraphy and sumi painting, serving as signature and commentary. 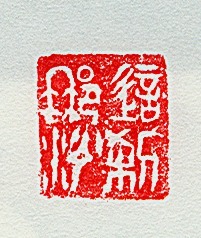 These are the ones carved by her that have been applied to particular works. 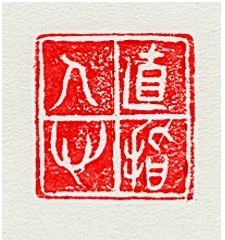 Some phrases are philosophical or spiritual, others are even humorous. 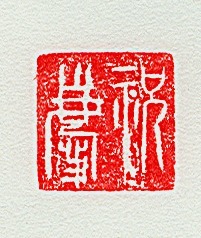 The characters appropriately are in seal script, which predates the development of flowing, brushed calligraphy. 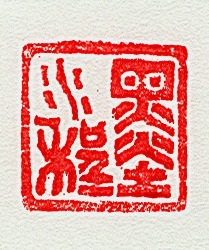 One to three seals may be found on works, depending on picture size or extent of text. 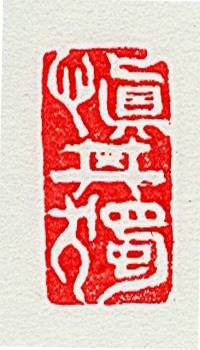 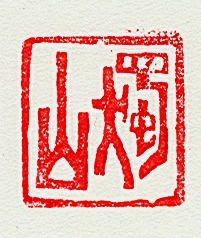 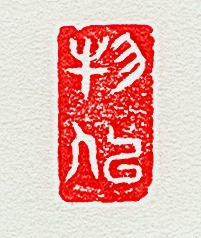 Typically, one chop is counter balanced by another with reverse format, that is, crimson characters on an empty white background on one seal contrasts with white ideograms on a solid red background on another chop.